A building on the campus of one of NYC’s most talked-about new developments with over 750,000 sq. ft of mixed-use commercial/industrial space. Great Forest’s waste audit and assessment identified key problems that kept the building’s waste and recycling programs from working efficiently. The investigation also uncovered opportunities for reducing the building’s waste removal costs by 75%, while increasing the building’s diversion ratio by 30%, and bringing its overall recycling rate to over 50%. The development was interested in pursuing Zero Waste but suspected that its current waste and recycling program was not working as well as it should. The building’s diversion ratio was only 25.7%. They wanted to identify the problem, and implement best waste management practices. Over the course of four days, Great Forest consultants conducted a comprehensive waste audit and analysis that included a building walk-through of all areas, including loading docks and corridors. 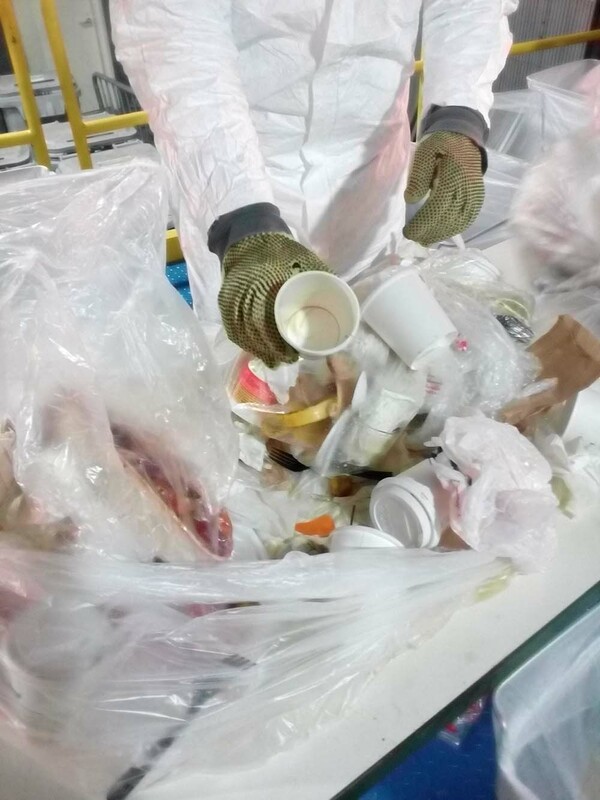 The waste audit revealed a significant amount of recyclables in the waste streams. 23.3% of what was thrown in the trash turned out to be recyclable plastic wrap, followed closely by recyclable cardboard. We found that one of the reasons for this was a low rate of tenant compliance. We noted loose, recyclable materials piled up in various locations; and spotted e-waste and universal waste left in corridors. There were also no waste and recycling program signs or instructions, and bins were not labeled. As a result, the building was not in compliances with several state and local laws. implement a specific daily time frame during which tenants can dispose of certain waste materials in the presence of the dock master. In addition, we even found a vendor to remove wood pallets for free! When adopted, our recommendations are expected to cut the client’s waste removal costs by as much as 75%. Our recommendations would also increase the building’s diversion ratio by 30% without any reduction in waste generation, but simply by improving recycling awareness and compliance by tenants in conjunction with the optimization of onsite waste capturing equipment. This would bring the building’s overall diversion rate to over 50% making its long-term goal of Zero Waste accreditation significantly more achievable.